Forum member Drano38 was the first to report on the inexpensive LED options for the Hawkeye Borescope: “I saw Maglite now has a 3-watt LED Mini-Maglite®, so I picked up one. The bulb bell is a little longer, and has more threads, but the thread pattern is the same. A quick comparison down the barrel showed much brighter and whiter than the Maglite shipped with the borescope. Is it worth about $24.00 for a brighter light? I think so. The LED Mini-Maglite flashlight is about 3/8″ longer than the regular, but it can still be [fitted into the borescope case]. Forum member Gunamonth reports: “I’m not so concerned about brighter but whiter would make it a whole lot better. The color from the regular incandescent Mini-Maglite is kind of yellowish-orange which makes a lot of stuff seem like copper. I had considered buying the Nova light source until I saw this post by drano38 about a 3 watt LED version of a Mini-Maglite. It solves the problem of the regular incandescent bulb having a yellowish color that makes copper hard to see. The LED light is very white. HOT DEAL: TylerTool.com sells 3-watt LED Mini-Maglites for just $19.35. NOTE: While an LED MagLite does offer a brighter, whiter light, the Hawkeye SuperNova Xenon light source is even brighter yet. 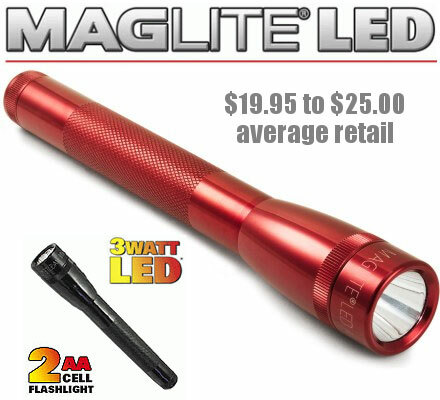 It is ten times brighter than the standard (non-LED) Mini-Maglite and it has a rechargeable Lithium-Ion battery. If cost is not an issue, the SuperNova is the most powerful light source for the Hawkeye. Share the post "Improved LED Light Source for Borescope — Under $25"
As we write this, Jochen Anschütz, new president of J.G. ANSCHÜTZ GmbH & Co. KG, is winging his way to Beijing, China to help support the athletes from many countries who will be using Anschütz air rifles and smallbore rifles in Olympic shooting competition. 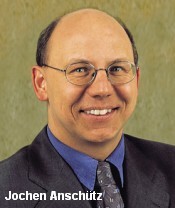 This year Jochen took over the helm of the company from his father Dieter Anschütz. Jochen represents the fifth generation of his family to direct the operations of the storied German arms-maker. Jochen, along with a team of Anschütz technicians, will be on hand to provide tuning and tech support for the shooters. This morning we were pleased to learn that Anschütz will be shipping one of their model 64 R Biathlon rifles to AccurateShooter.com for testing and evaluation. We think this rifle may be ideal for the new “precision rimfire tactical” discipline. (See our Rimfire Tactical Feature Story). The rifle features a prone-style stock with adjustable cheek-piece and buttplate. There is a forearm rail for mounting bipod or hand-stop. One cool optional feature for is a stock-mounted carrier for multiple magazines. We hope to have this rifle in our hands by the end of August. We’ll test it for accuracy, fit, and function and then campaign it in regional matches. We hope to bring the rifle to the inaugural NorCal Rimfire Tactical (NCRT) match slated for October 26, 2008 at the Sacramento Valley Shooting Center. Organized by Ed Eckhoff and Vu Pham, this should be an outstanding match with a exciting course of fire. Ed has been working hard on some fun and challenging targets, including a 100-yard “running target” on a 100-foot track. Share the post "Thanks Jochen — Good Luck to Anschütz Shooters in Beijing"